Our minds consist of two sections – the left brain and right brain. The left brain deals with logical and analytical thought, while the right brain deals with creative and intuitive thought. Most people are aware of this. Some people have a natural inclination towards left-brain activity such as logic puzzles, and others prefer right-brain activity such as music and dance. Unfortunately, there is only a small percentage of the population that actively embraces both sides of the brain. You see, the key to incredible success lies in our ability to unlock the synergistic capabilities of both sides of our brain. Just look at Leonardo Da Vinci – one of the true geniuses in the history of Mankind. He was both an excellent mathematician and artist, and he truly exemplified the synergistic capability of his mind by being one of the greatest inventors of our time. Have you ever wished to be able to unlock the full potential of what your mind can do? 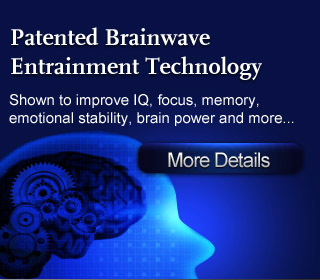 Have you ever wanted to improve BOTH the analytical and intuitive aspects of your mind? Do you often wish you could accomplish challenging tasks without spending too much time or effort? Are you tired of just being ‘normal’ and ‘mediocre’? The good news is that with today’s advanced technology, we can now train both sides of our minds to work ‘hand in hand’ and achieve greater success than ever before! 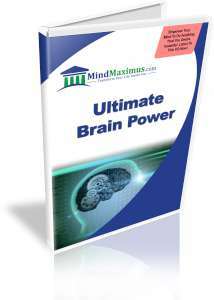 No reviews on B08 Ultimate Brain Power so far.